Over the Easter weekend I visited my friends Søren and Trine on their converted ship on Copenhagen Harbour, right across from Nyhavn. Brilliant sunshine. There was an army of kids, tweenagers and teenagers along for the day, from 3 to 19 years. Running around the ship, playing hide and seek and playing out on the quay. 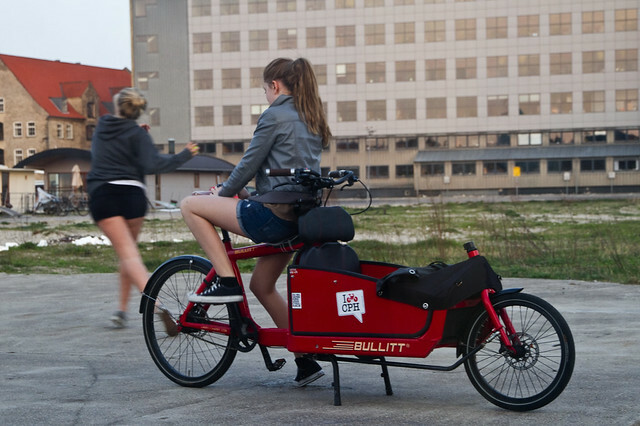 Nice to see how the Bullitt was considered a fine place to sit and text on a mobile. 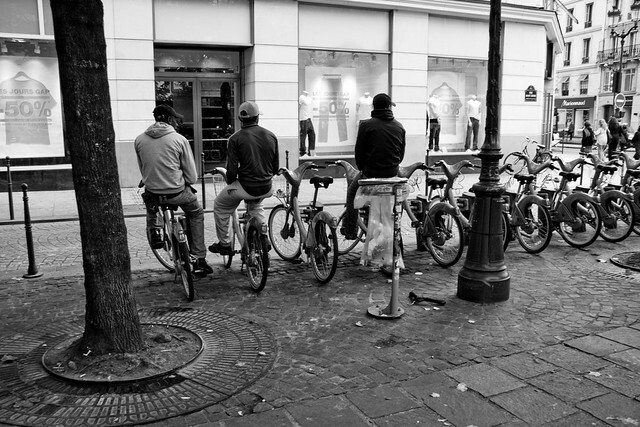 Reminded my of this shot I took in Paris of some friends hanging out on parked Velib bike share bikes. 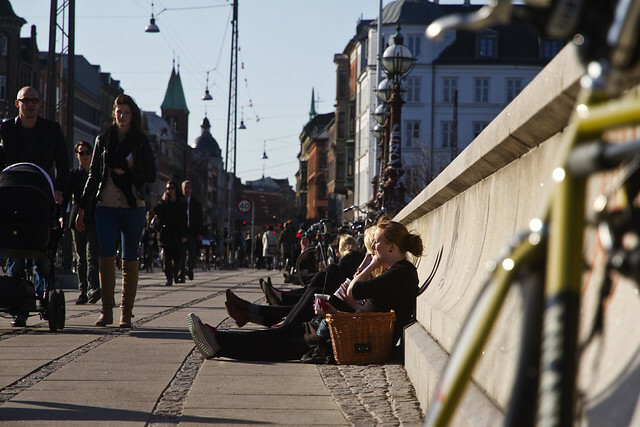 In other bench news, the City of Copenhagen widened the bike lanes on Nørrebrogade, probably the busiest bicycle street in the world - and in the process slapped up a couple of benches on Queen Louise's Bridge over The Lakes. For all the liveable cityness of the bridge and surrounding lakefront, the bridge has never invited any great number of people to gather in the sunshine. Until now. Just a couple of benches have caused the sunny side of the bridge to become a people magnet. The benches get occupied first, of course, but the mere sight of people sitting on benches there cause others to sit down and lean up against the stone. So many of my friends have noticed this sudden and pleasing development. It's brilliant what a couple of benches can do to change behaviour and create a new citizen space in a city.